The Texas Social Media Research Institute (@TSMRI): Need a Job After Graduation? 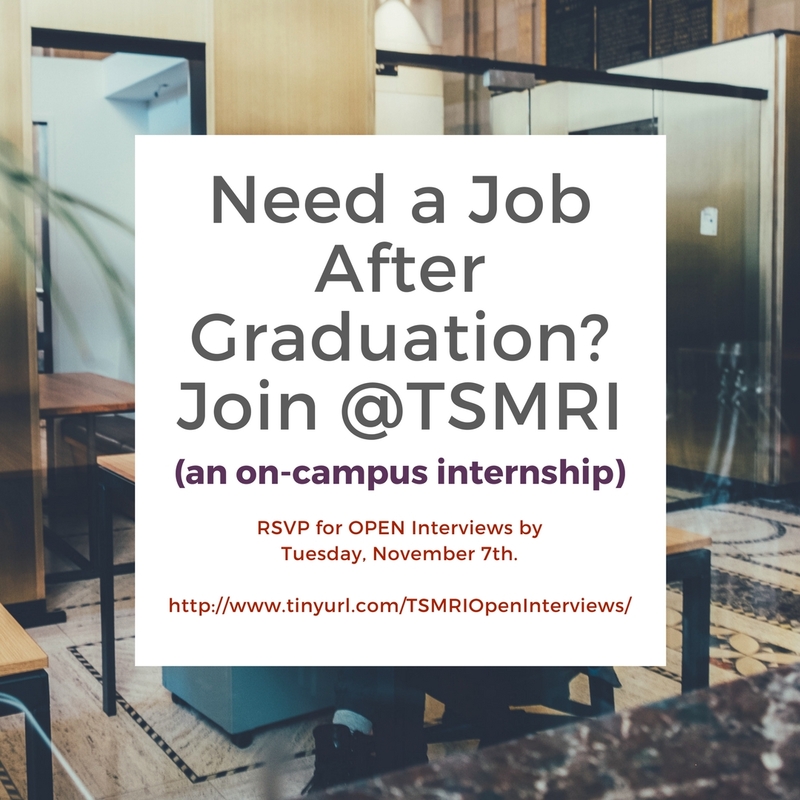 Join @TSMRI! Need a Job After Graduation? Join @TSMRI! Tarleton graduates NEED experience on their resume BEFORE their graduation date. 90% of TSMRI graduates gain employment in the field within FOUR months of graduation. Gain up to three years of social media experience by becoming a Social Media Coach with the Texas Social Media Research Institute (@TSMRI). The internship is ON-CAMPUS and provides students with a faculty mentor. Through the internship, students have access to signature experiences: 1) Social Media Study Abroad, 2) networking with social media professionals in the field, 3) opportunities to become a social media entrepreneur while attending college, and 4) to build their personal brand on social media platforms! For more information, please contact TSMRI on Twitter - @TSMRI or email Dr. Jennifer T. Edwards (jtedwards@tarleton.edu). There are opportunities to earn upper-level communication credit for participation.